But Head 2 Head is more than bench-racing the numbers. Surely the owner of either machine isn’t going to hire a professional race car driver to pop off laps or spend time in a vast parking lot with a GPS-enabled data logger to see if they can shave hundredths off a launch. No, what actually matters is how the two cars feel. 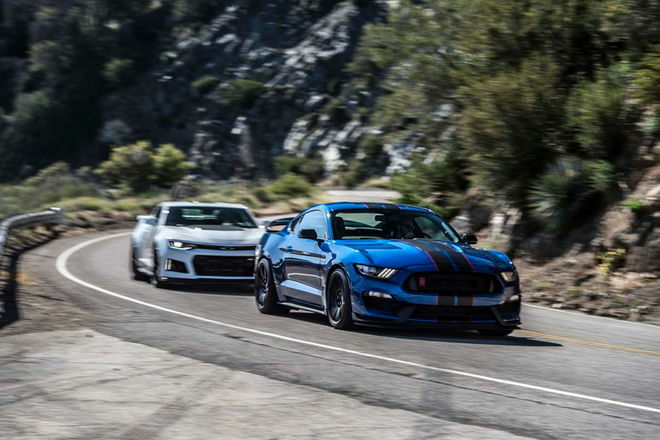 And although I am not prone to embellishment, I am tempted to evaluate in terms of both sound and feel because the Shelby sounds five quintillion times better. It’s that palpable a difference in its sonorous quality. Give credit to the world’s biggest-lunged flat-plane crank and the bypass valves on the exhaust. Conversely, the normally righteous-sounding LT4 (in Corvette Z06 duty at any rate) is muffled here in the ZL1. 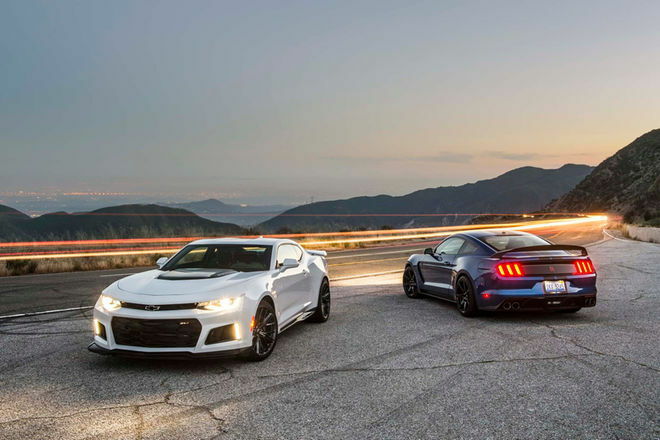 If you’re standing behind the Camaro, the exhaust sounds fairly angry, but inside, compared to the Shelby, the Camaro’s on mute. I remember as a young boy, everyone standing around to get a look at the Shelby GT350 in the Ford dealer showroom . Until, the Shelby GT500 showed up. No one was standing around the GT350 anymore . Gt 350 all day, and all night for that matter.